Jeon Won Hee, a counselor with Gender Equality Support Center, works in the Olympic Park to respond to sexual assault victims. The Olympics has long been considered a pinnacle sporting event meant to showcase the most talented athletes in the world — not the place for discussing sexual assault and abuse. But for the first time, a host city is hoping to change that by opening four counseling offices — referred to as Gender Equality Support Centers — scattered across the Olympic sites. 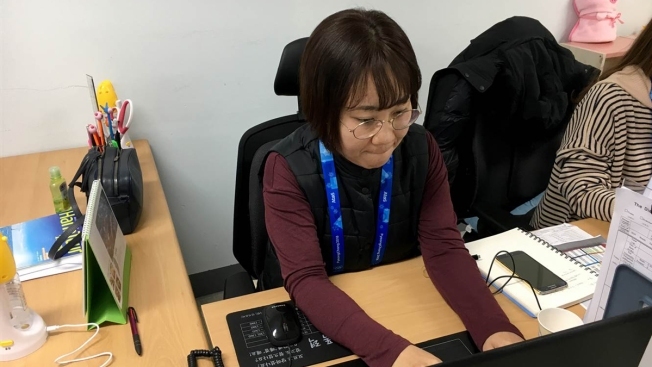 Jeon Won Hee, a counselor with Gender Equality Support Center, is helping to combat sexual assault at the Olympic Park where more than 2,900 athletes, 16,000 volunteers and tens of thousands of spectators are inhabiting for the next two weeks. "This is very meaningful, but the more important thing is knowing that sexual violence can occur anywhere at any time," Jeon said. Nancy Hogshead-Makar, a three-time Olympic gold medalist at the 1984 Los Angeles Games, said that athletics institutions have a ways to go to ensure athletes are being protected, and said the uncovering of decades of sexual abuse by gymnastics doctor Larry Nassar shows the need to speak up immediately.